Take a look at some of the best cocktail bars to visit in Cape Town. 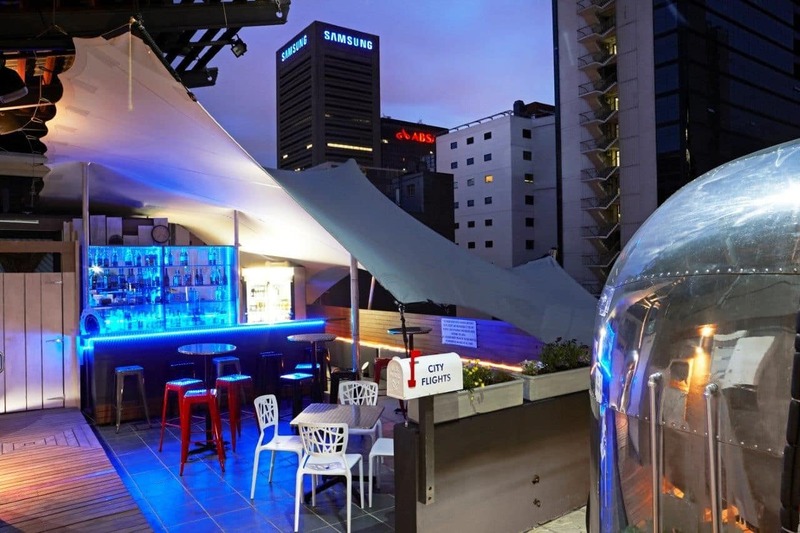 A well-known boutique hotel in Long Street, the Grand Daddy is quirky and fun with its airstream rooftop trailer park and Sky Bar. From up here, you get great views of the city skyline while sipping drinks off a varied drinks menu under the protection of a Bedouin tent. It’s a favourite with the locals and is open Wednesday to Saturday from 12h00 to 20h30 in summer and 16h00 to 20h30 in winter. This trendy spot is at the top of the Park-Inn hotel on the Cape Town foreshore. 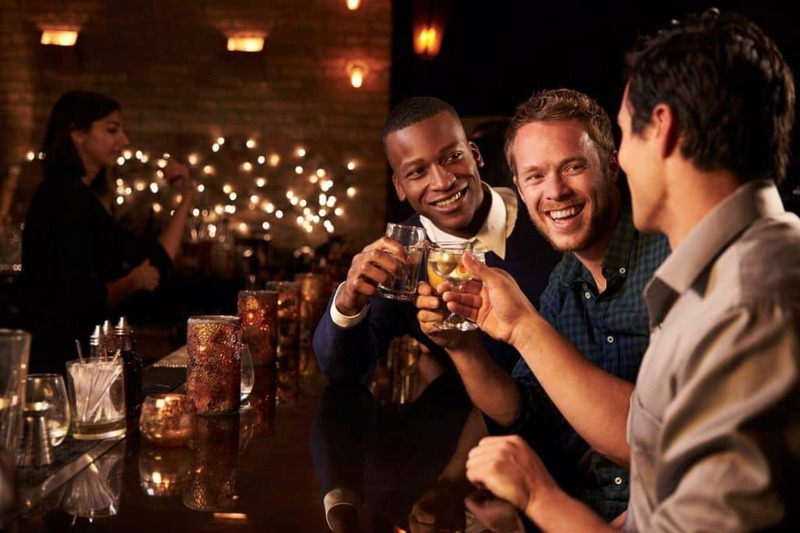 It’s the accompanying bar to the hotel’s RBG restaurant and offers up a variety of drinks for all to enjoy while soaking up panoramic views of Table Mountain and Cape Town. Ok, so this isn’t exactly a rooftop one, but we figured it’s high up enough and with a nice-enough view to make it on to this list. Based in the heart of the CBD in Strand Street, the Strand Tower’s restaurant and bar sits on the pool deck and can be enjoyed with gorgeous views of the city. It’s the perfect spot for some after-work drinks or an afternoon beer and cocktail. The casual and laid-back atmosphere of Rick’s makes it a great spot for cocktails and beers with friends. The loft lounge and cocktail bar leads onto a roof deck and gives patrons a stunning view of Table Mountain. This trendy spot is great for get-togethers and is located just off Long Street. With stylish décor and indie tunes playing in the background, it’s perfect for winding down after a long day. The drinks menu is extensive with a wide range of beers on tap. If you get a bit hungry, there’s a tapas bar to see to that. Most of the venue is inside, but if you grab a spot on a balcony, you get a cool view of the buzzing long-street and Table Mountain. 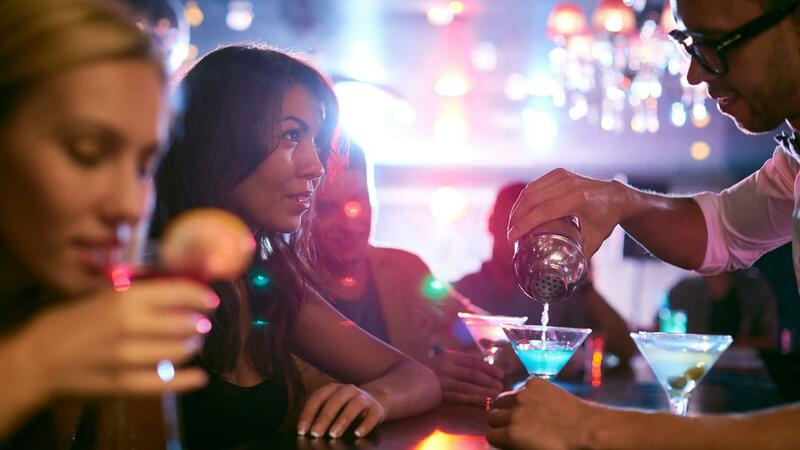 You can catch some live acts here or listen to the DJ on duty while sipping your drinks. Trendy place for the urban cool kids of the city. Possibly one of the top places for drinks with an ocean view, the VIP Sky Bar on the roof of the Cape Royale is a fantastic place to relax and wind down. There are views of the Atlantic Ocean and an outdoor pool that kids can use – weather permitting. This very stylish spot, with its chic interior and timeless, gracious style, is set in the terraced gardens of the Mount Nelson. Planet Bar has an extensive cocktail menu that includes the classics with a few twists. An assortment of light meals and canapés is also on offer. On Thursdays, expect to find the buzz of society there with DJs in the mix long after the sun has set. Enjoy a cocktail on the rocks at The Polana restaurant in Kalk Bay. The bar is built on the rocks and provides the perfect opportunity for whale watching while enjoying a Jam Jar, one of The Polana’s specialities. Not without reason has the Radisson Hotel’s Tobago bar in Cape Town been voted Best Seaside Bar by Condé Nast’s House and Garden. This spot is a much loved venue for locals and visitors who can enjoy a cocktail on the balcony just metres from the ocean. Julep, also just off Long street, is a hidden watering hole full of charm. Described as a speak-easy cocktail lounge, it is an intimate space for sampling live music and creative cocktails such as The Moonshine. The venue is retro with a twist, and boasts only the finest ingredients for cocktails that are made with great care. Julep has been named by Tripadvisor as one of the best bars in Cape Town. From cocktail bars to sports bars, if you’re heading to Cape Town there is no shortage of spots to have a drink or two. We’re excited to announce our new referral programme.